SPSS Modeler is not simply about exploring your data. It is most powerful when used to uncover powerful patterns in your ongoing business processes and then capitalizing on those patterns by deploying models into your business to make more accurate predictions leading to better decisions and optimal outcomes. How Does IBM SPSS Modeler Work? 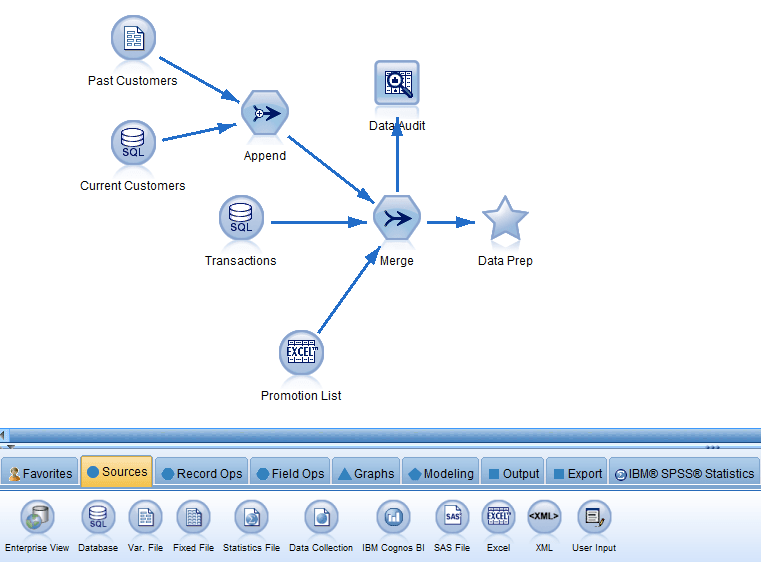 IBM SPSS Modeler is compatible with all of your data. Analysts can have direct access to multiple sources of data and can merge, rearrange, and augment their data on their own. Data manipulation in Modeler can be learned in a matter of days, even by analysts without a lot of experience with ETL. Expert users can direct Modeler towards today’s big data and efficiently tackle many millions of rows of data. Modeler has dozens of advanced algorithms for finding patterns in your data. Modeler even has algorithms that help you narrow your search. These automated modeling techniques are quite powerful. They multiply the analyst’s efforts in order to get you to your destination faster. While even a novice user can provide value to their organization, in the hands of an expert Modeler is even more powerful. Modeler has some deployment capabilities built right into the workbench. An analyst can easily score new data to predict likely future outcomes. But in the hands of a deployment expert, SPSS Modeler can be even more powerful. Rerunning models nightly, scoring your new data in real time, and automatically communicating to your decision support systems are all possible. Don’t let your organization be counseled by a team that cannot work with you on all of these options. Insist on expertise in IBM Analytical Decision Management and IBM SPSS Collaboration and Deployment Services.